, we’re making a change to our search rankings, to include ‘mobile-friendliness’ as one of the many criteria we use to rank search results. There have been a few misconceptions flying around about this change, so we wanted to clear them up. Firstly, mobile-friendliness is just one of 200 signals that we use to determine the ranking of results. Sites that aren’t as mobile-friendly as they could be won’t disappear. In fact, they may still rank highly if they contain great content that people really want. And again, just to be really clear, this is just for mobile results. Why are we making this change? Well, we’ve all experienced bad mobile sites. Miniscule font, links that require Tinkerbell’s tiny fingers to click, or a sideways scroll that last for ever and ever and ever and ever. Which is a real problem, because mobiles are increasingly how we access the internet. The vast majority of Kiwis now have smartphones, and we use them daily. Bad sites are bad for business too: visitors abandon websites that aren’t mobile friendly at higher rates. 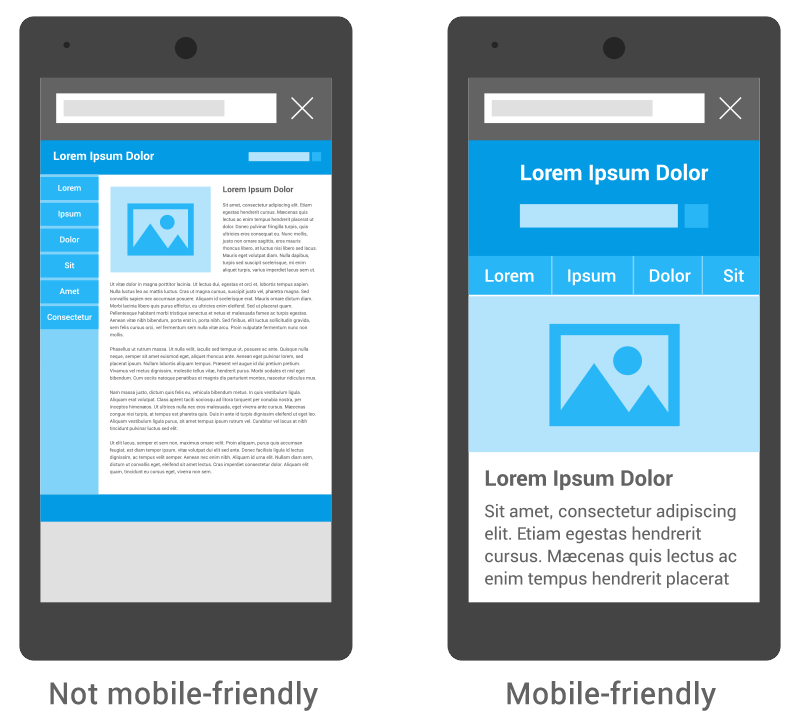 Research shows 74% of people say they are more likely to return to a mobile-friendly site. What does ‘mobile-friendliness’ look like? Check out the image below. The good news is that creating a mobile-friendly site doesn't have to be expensive or time-consuming: it can be as simple as adjusting website settings or picking out a design you like. Even if you opt to fully redesign your site, a small business website with 10-20 pages could be completed in a day or so. Webmasters can check if their site is mobile-friendly by examining individual pages with the Mobile-Friendly Test or checking the status of the entire site through the Mobile Usability report in Webmaster Tools. In the two months since we announced this change, we’ve seen a 4.7 percentage point increase in the proportion of sites that are mobile friendly, and we hope to see even more in the coming months. The web doesn’t stand still, and mobiles have been around for eight years. Kiwis deserve to get the best out of the internet, however they access it. These changes are designed to help with this. As we flagged in February, we’re making a change to our search rankings, to include ‘mobile-friendliness’ as one of the many criteria we use to rank search results.